When we look at stars in the night sky, it is clear that some stars are brighter than others. When early astronomers started measuring the brightness of stars, they used a designation known as apparent magnitude. Early on, apparent magnitude was as basic as “These stars look the brightest, so we will say they are magnitude 1. Those are the next brightest, so they are magnitude 2.” and so forth. As we got better at measuring stellar brightness, the process was formalized, but the basic idea is still the same. The brighter the object, the smaller its magnitude. We can even carry it into negative numbers for planets and the Sun. For example, the maximum magnitude of Jupiter is about -1.6, while the Sun has a magnitude of about -27. Since apparent magnitude was based on how bright an object appears to our eyes, it isn’t a linear scale. If star A gives off twice as much light as star B (and assuming they are the same distance away from us) star A does not appear twice as bright as star B. Our eyes see on a kind of logarithmic scale. It is what allows us to see things that are very bright and very dim. As a result, a magnitude 1 star is about 2.5 times brighter than a magnitude 2 star. A magnitude 2 star is 2.5 times brighter than a magnitude 3 one, etc. Of course just because a star looks brighter, that doesn’t mean it actually is brighter. Another aspect of light is that things appear dimmer the farther away they are. If two stars give off the same amount of light, but one is twice as far away, the closer star will appear 4 times brighter than the more distant star. To account for this, we’ve defined another type of magnitude known as absolute magnitude. The absolute magnitude of a star is defined as what it’s apparent magnitude would be if it were 10 parsecs (about 32 light years) away. For example, the sun has an apparent magnitude of -27, but an absolute magnitude of 4.8, which is actually pretty dim. Absolute magnitude allows us to compare stars on an equal footing. It also allows us to play with “what if” scenarios. For example, what if a recent supernova in M95 had happened in our neighborhood? Recent observations may have found the star that exploded in older Hubble images, and it appears to have been a red giant about 10 times more massive than our sun. The apparent magnitude of the supernova peaked at about 13. Since M95 is about 37 million light years away, its absolute magnitude is about -17. 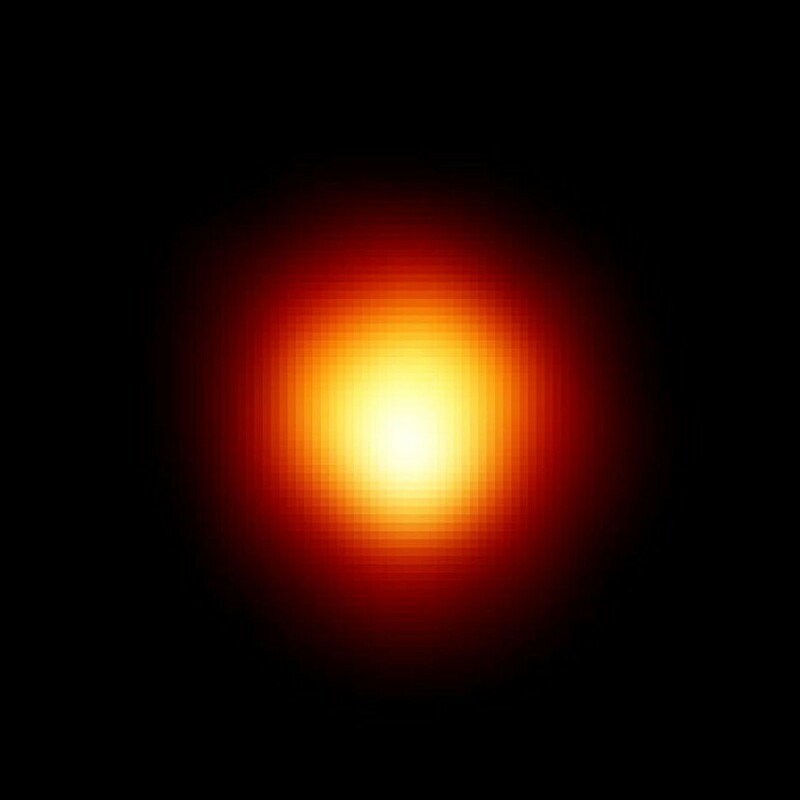 In our night sky, perhaps the most famous red giant is the star Betelgeuse. At some point in the next several millennia Betelgeuse will go supernova itself. Betelgeuse is only 650 light years away, so when it goes off, what might we see? Given the absolute magnitude of the recent supernova, if Betelgeuse exploded with the same brightness it would have an apparent magnitude of about -11. That is brighter than any star or planet in our sky, but it isn’t quite as bright as a full moon. So even if Betelgeuse does explode in the near future, it won’t be the end of the world. It will just be a short lived beacon in our night sky, casting shadows on moonless nights. Shadows from a supernova. How cool would that be!